Are you getting good backups? Do you ever forget to swap the tapes? Do you take your backups offsite every night? Have you done a test restore to be sure the backup works? Do you have off-site storage? What happens when the server dies? What happens if the building is damaged by fire, wind or rain? How Much Downtime can Your Company Afford? Many companies are stuck using tape for backups because this is how they have always done their backup. Besides the high failure rate for tapes what other risks does a company face from using this method? Once the tape does fail it often takes days to get a company back to where it was and there is a possibility that data is lost and so a company may never really be back to what they were. 77% of all tape backups fail and downtime in small to medium company can cost upwards to $5,000.00 per hour or more! A reliable and fast backup & recovery solution is critical in today’s business environment. 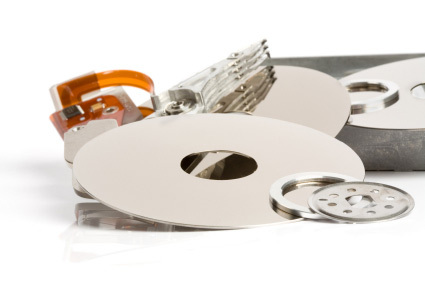 BlueStor Networks can provide innovative backup solutions that can prevent downtime disasters; a disk based backup system that effectively replaces expensive tape backups while giving greater consistency and security. BlueStor provides some of the fastest backup & recovery options available today as well as one of the most economical. When it comes to safeguarding your company’s critical data it is well worth the time you can invest in securing professional options before a critical issue occurs. There are superior backup and disaster recovery solutions that may better matches your business needs…and still fits within your budget. With its fast virtualization capabilities, our Backup and Disaster Recovery (BDR) Solution can be configured to function as a standby server if needed. This unique device also can replace management intensive, error-prone tape backups while providing much more…starting with peace of mind. BlueStor Backup Server Technology performs data backup at the block level where the actual digital 1s and 0s are captured from the hard drive – essentially eliminating failures related to open files.